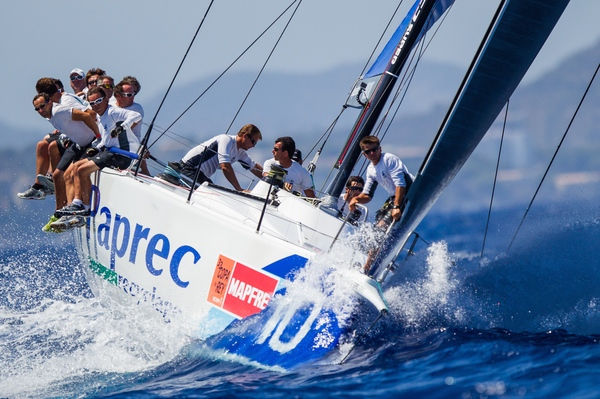 There was to be no succession at the 2014 Copa del Rey Mapfre. Rán Racing may have gone into the final day of the Mediterranean’s showcase regatta with designs on the King’s Cup, just three points behind reigning champions Quantum Racing, but the defending champions squashed the challenge from Niklas Zennström’s team on the start line of the final and rolled out overall winners in Palma for the second season in a row. 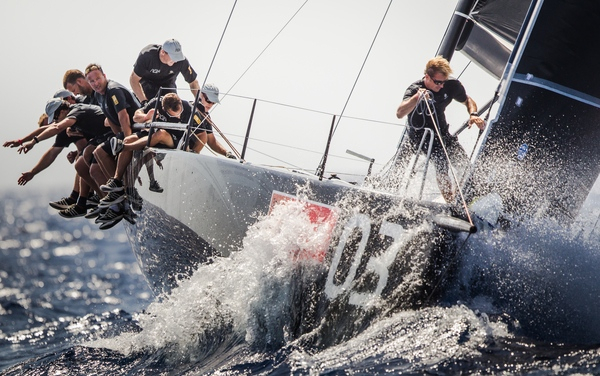 For Doug DeVos’ American flagged team which is lead by America’s Cup winner Ed Baird it was their second Barclays 52 Super Series event win in a row, adding to their victory in Porto Cervo, Sardinia. They denied Rán Racing their crack at the Copa del Rey title on the start line of the last race. Quantum Racing set themselves into Rán’s lee bow in the final seconds, bouncing them out to the less favoured side of the course. Zennström’s team rounded the top mark in sixth while Eduardo de Souza Ramos’ Brazilian crew on Phoenix streaked away to win ahead of Azzurra. 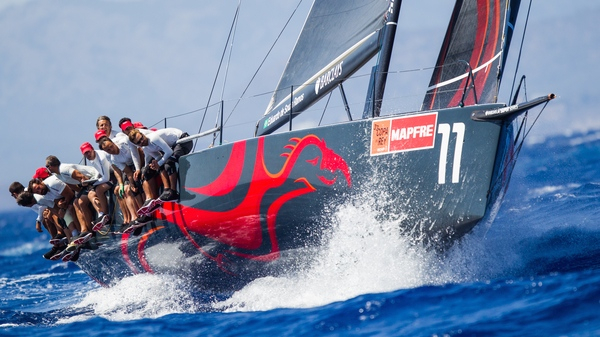 While Quantum Racing came to Palma with the winning momentum after taking the world title in Porto Cervo six weeks ago, Rán Racing scored two poor results back-to-back over the first and second days. After a long, hard debrief the Rán crew transformed themselves and scored four race wins, more than any other team, and between then and today’s finale in 15-20 knots of SE’ly breeze, outsailed their rivals, in part thanks to a small but telling speed edge downwind. 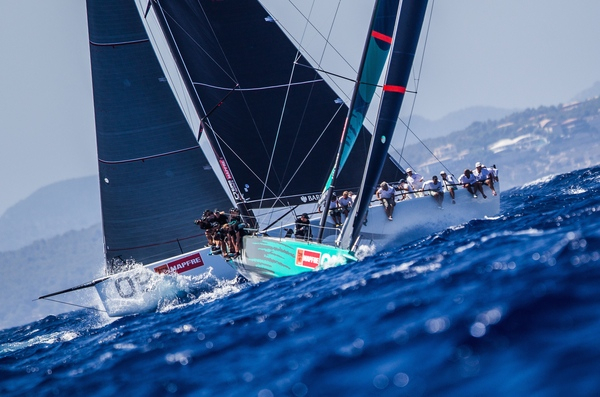 Quantum Racing’s Terry Hutchinson extended his personal tally of TP52 wins at the Copa del Rey to three but on sweltering hot, busy dock of the Real Club Nautico de Palma, affirmed that this was the hardest. “At the moment I feel relieved rather than any sense of elation. Rán Racing had us under pressure for sure.This time was the hardest. I have done this regatta three times. Once I steered Desafio and twice I have done tactics on Quantum Racing and all three have had the same result. And this one was by far the hardest," Hutchinsaon said. "We lead a lot of times at the top mark and Rán would pass us. They have a nice boat and they understand the boat and its modes and the interesting thing about racing on this course with the Maxi boats is that the courses are two or three tenths of a mile longer than those which we are normally using. And that allows them a pretty good opportunity to reel us all in. And today we sailed above our sweet spot and we went away from them downwind,” he added. 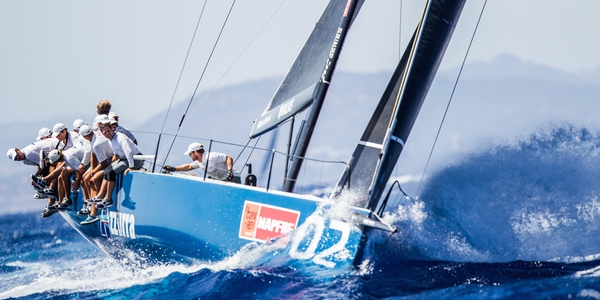 Azzurra finished second today to finish third overall just three points behind Rán Racing and seven points behind the regatta winners. 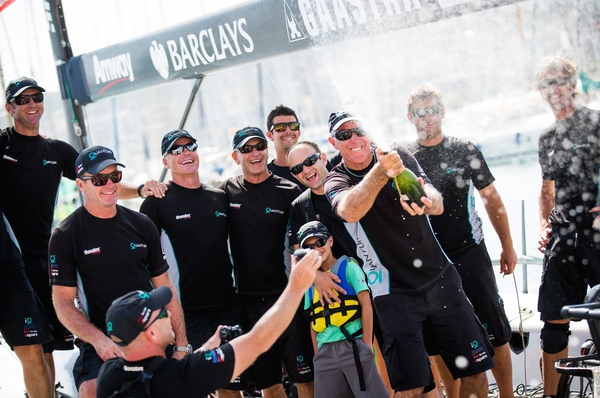 In the overall Barclays 52 Super Series standings Quantum Racing have stretched their lead to eight points over Rán Racing, doubling their cushion since the start of the Copa del Rey. 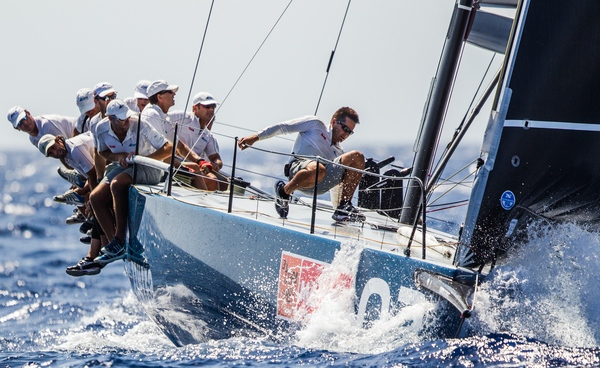 Azzurra are just four points behind Rán Racing.